I was born in Istanbul, the biggest city in Turkey. When I turned 18, I felt the need to travel, to learn new languages and to experience new cultures. I visited Buenos Aires to learn Spanish, I also traveled to Brazil and Uruguay. After that, I flew to France and learned some French. These experiences have helped me get to know myself better and to become more independent. 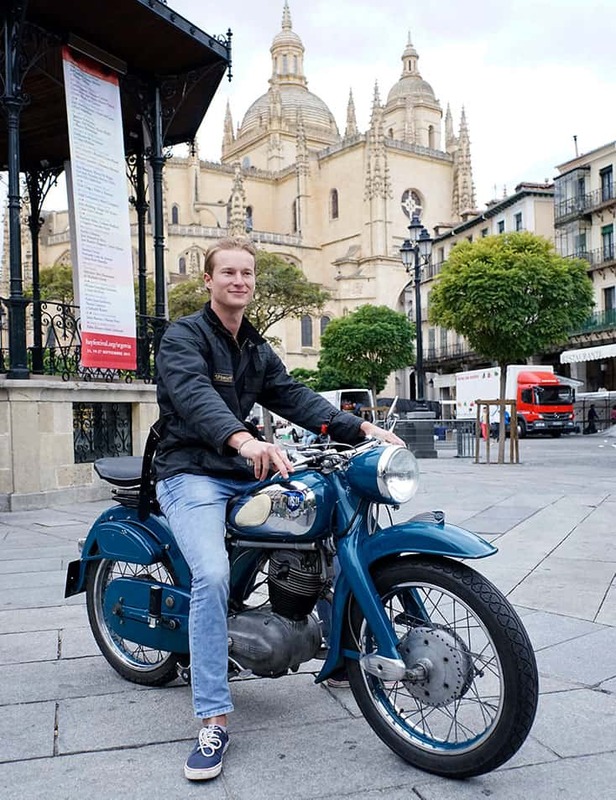 Turkish IE University student Marlon Kerim is passionate about vintage two-wheel vehicles and the city of Segovia. In spite of his young age, he’s already visited a ton of countries and speaks five languages fluently. Aside from Turkish, he also speaks German, English, French, and Spanish.